At just 19, Robert Francis is unquestionably a song-writer wise beyond his years. Having already worked with some musical giants (Ry Cooder, and John Frusciante to name just a few), it is clear that the future hold’s great things for Robert Francis. It’s hard to listen to this guy and picture him at just 19. His songs conjure up images of a hardened, world-weary performer, who has paid his dues at various dives he would have played at while hitching across the country. The emotion is like a tsunami that rolls over you; both depressing and uplifting at the same time, Robert Francis is going places. Hopefully, you’ll join him. 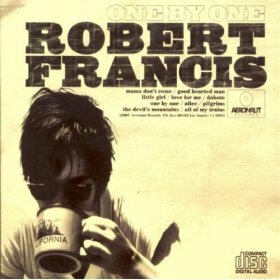 This, the title track from his debut album, “One by One”, is a lush, seven minute affair… but it ends all too soon. Wild Sweet Orange only came to my ears recently, and boy have I been missing out. Intelligent, dreamlike indie rock with a southern guitar backbone makes for a great listen from these guys. What makes these guys all the more interesting is that they seem to have no desire to rush into the big time; by all accounts, they’re happy to keep playing to smaller crowds, and enjoy the ride as they pay their dues. 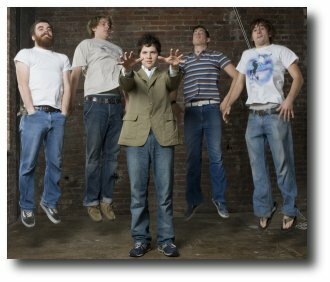 While much of their debut EP, “The Whale” is intoxicating, dreamlike loops (particularly in the stunning “Ten Dead Dogs”), the boys also show their edgier side, as with their opener, “Wrestle With God”. Next Post Time for a Tuesday Trio.